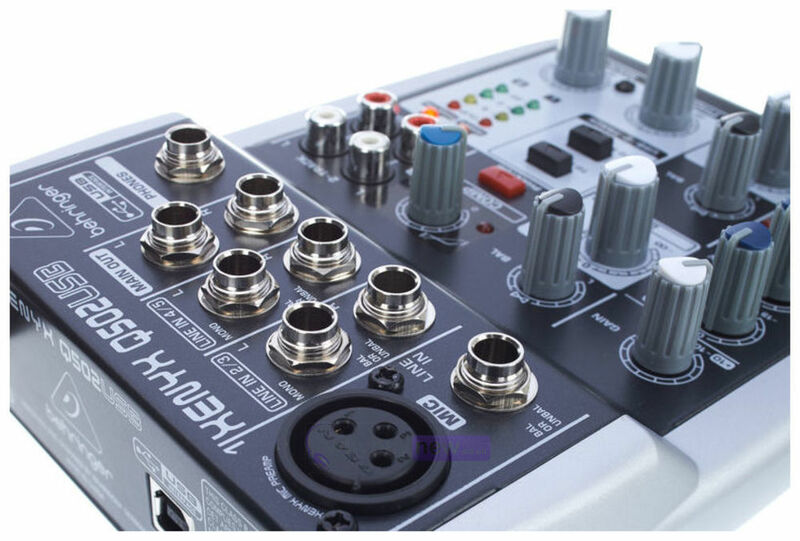 The XENYX Q502USB is an ultra compact mixer & USB audio interface that is small enough to fit in your backpack! 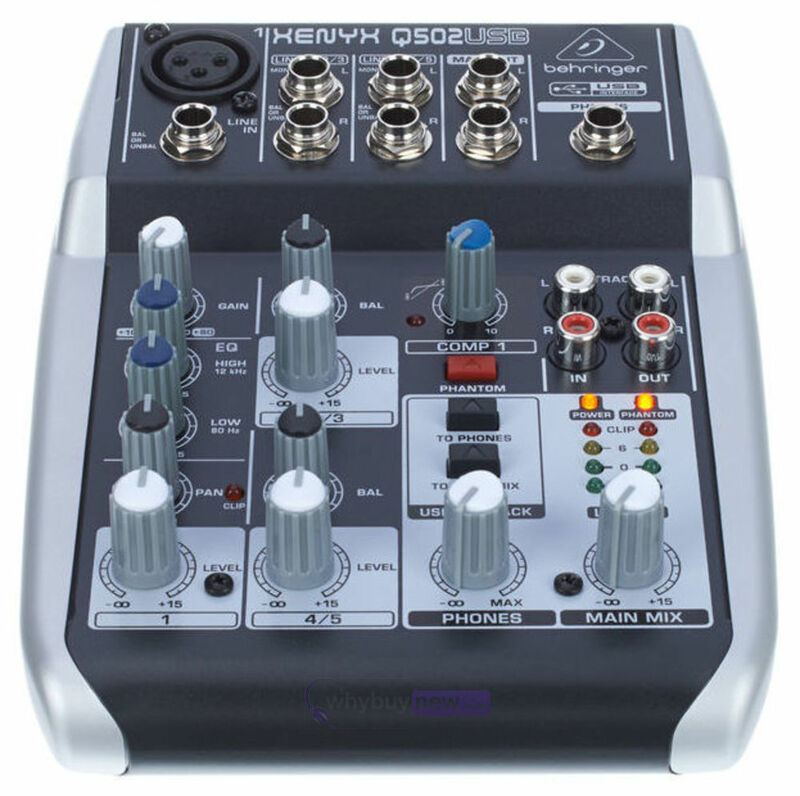 The 5-input, 2-bus XENYX Q502USB can accommodate either a dynamic or condenser microphone. 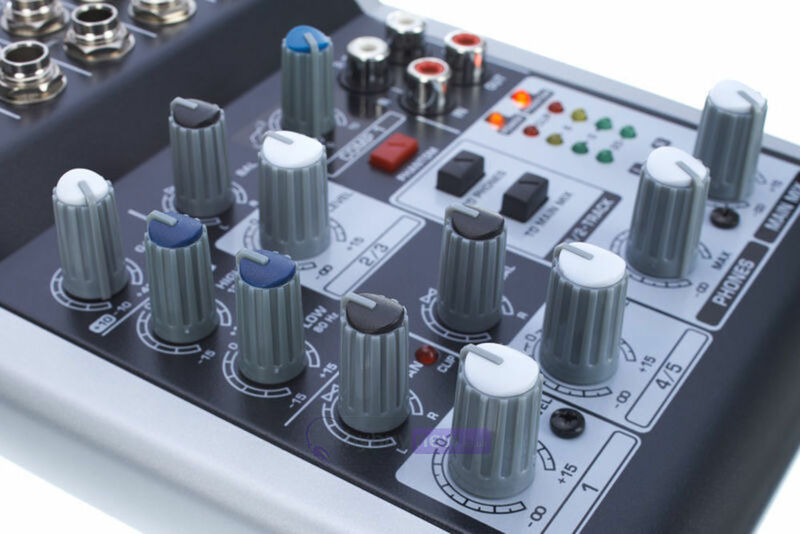 The 2-band British EQ is famous for its warm, musical sound. 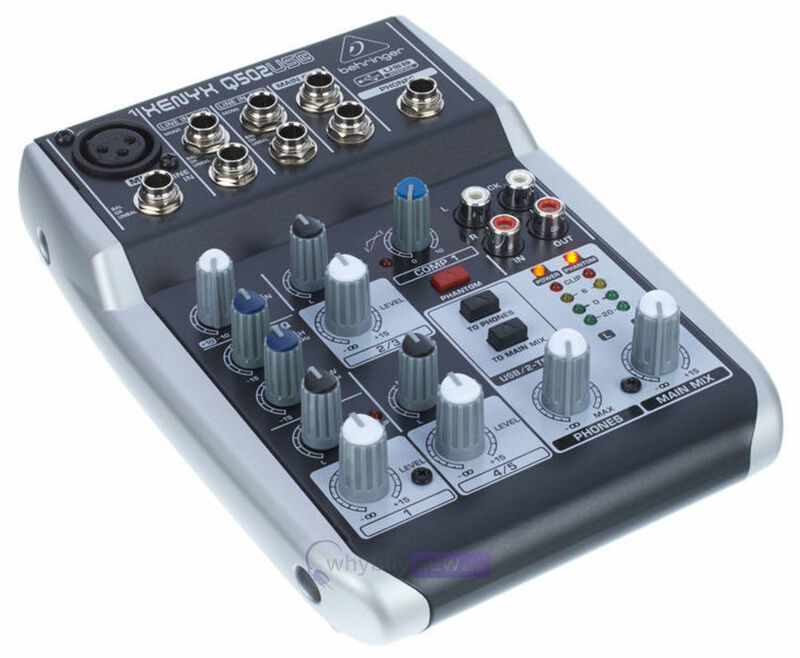 Play music between sets via the 2-Track Inputs (main mix or control room/phones assignable) and record your performance to an outboard recording device via the RCA outputs. 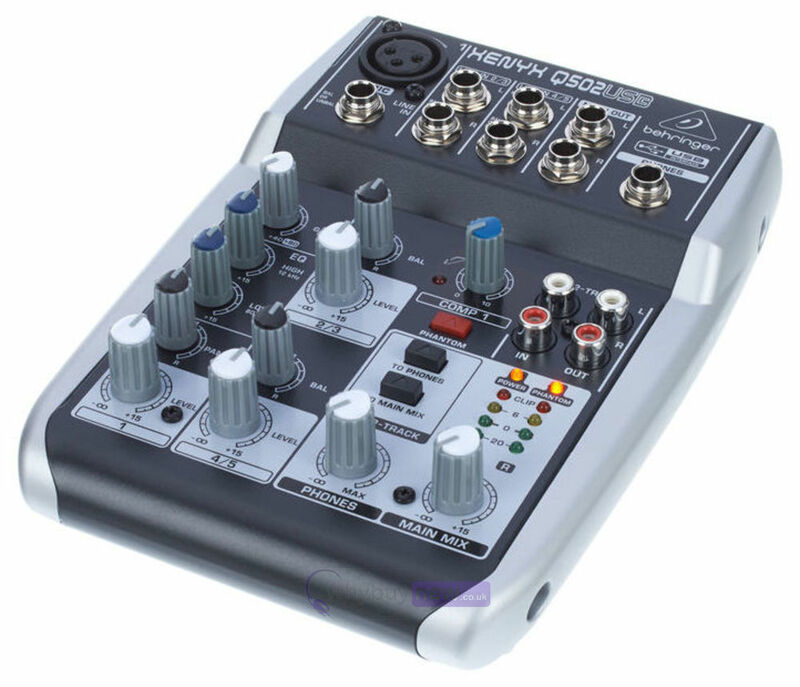 The Xenyx Q502USB is an incredibly versatile mixer for your live performances, with the sound quality of a large mixer in a smaller, portable format. 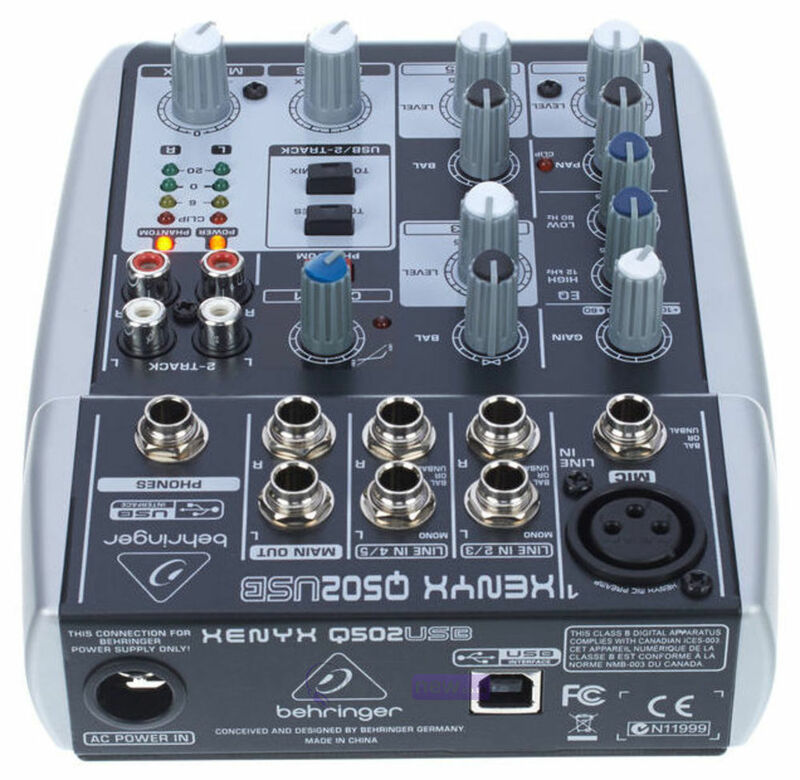 But the XENYX Q502USB isn't just designed to handle your live gigs, it also provides the state-of-the-art tools you need to make stunning, professional-quality recordings. 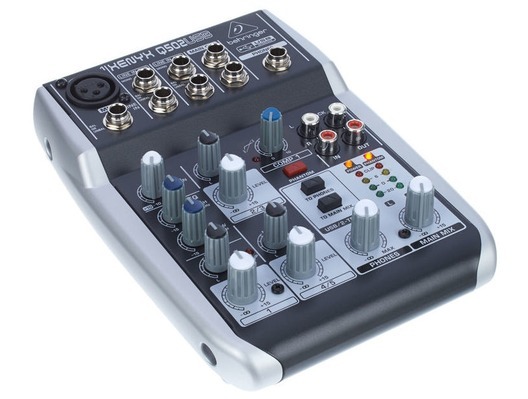 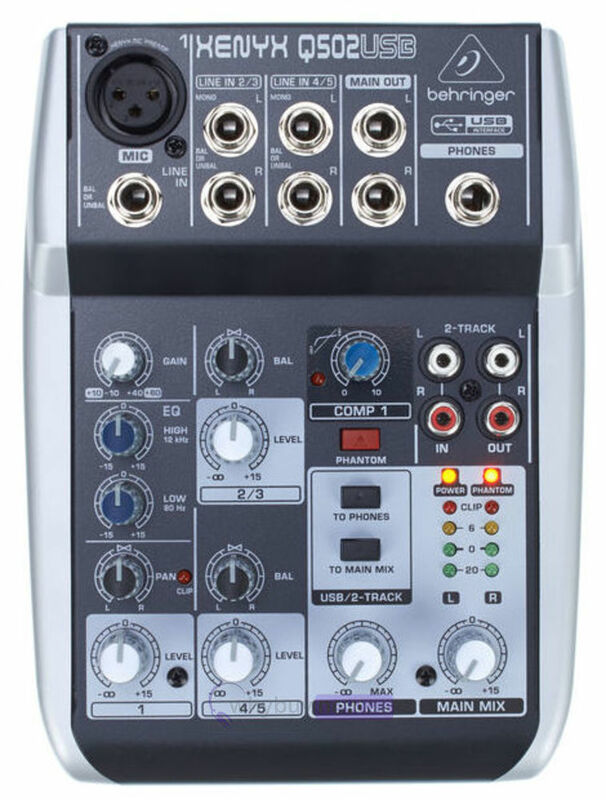 Along with its built-in USB/audio interface, the Q502USB mixer comes with all the recording and editing software needed to turn your computer system into your own personal high-performance home recording studio.